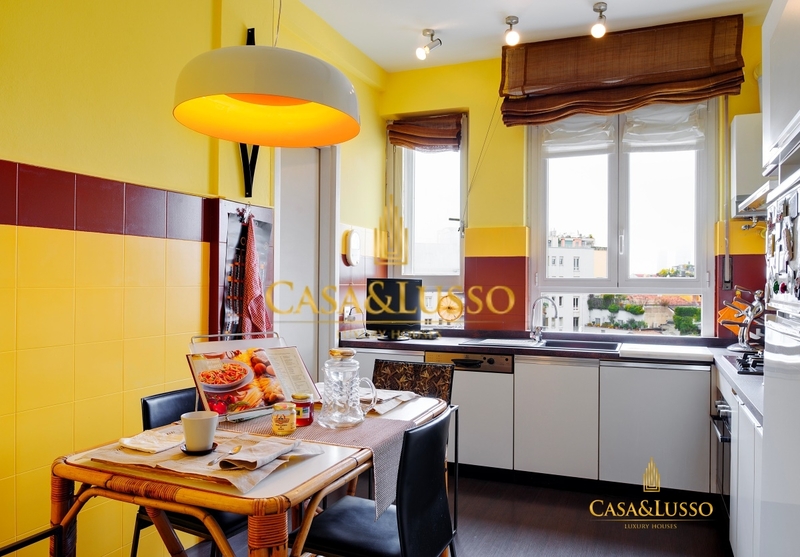 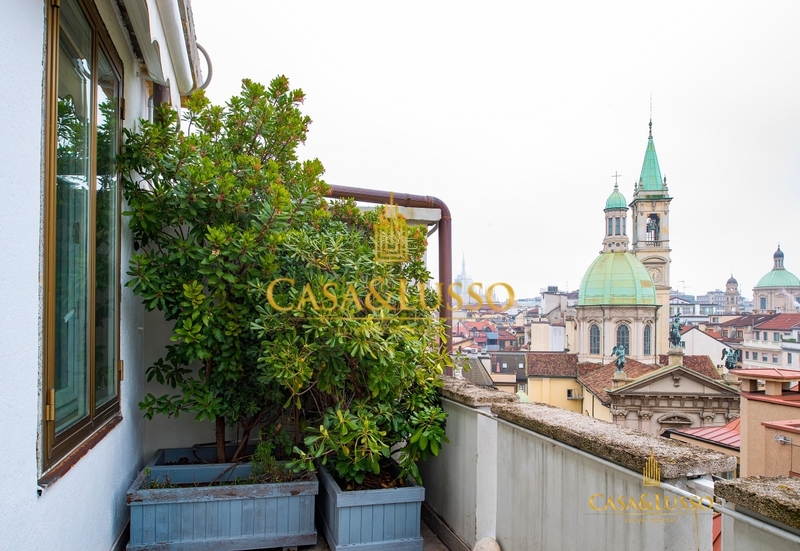 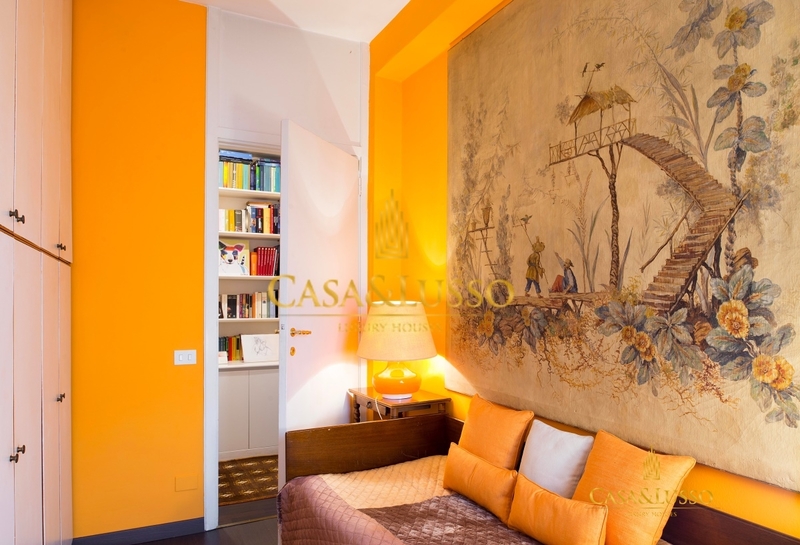 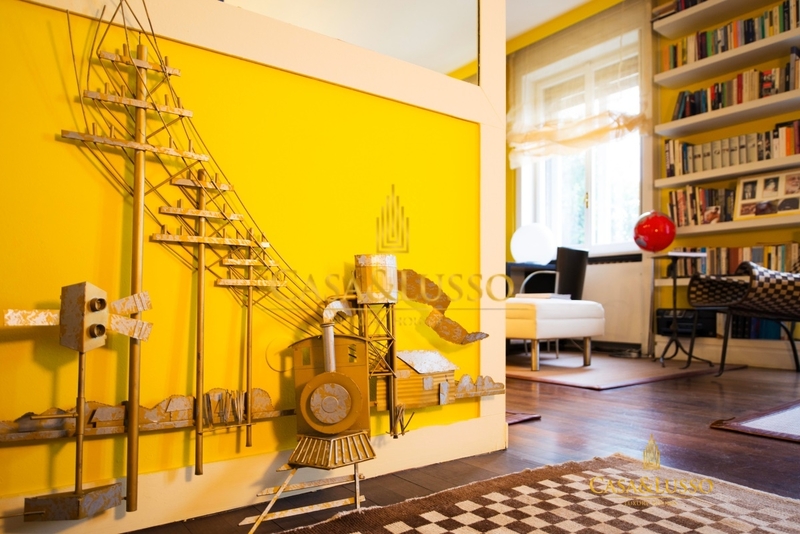 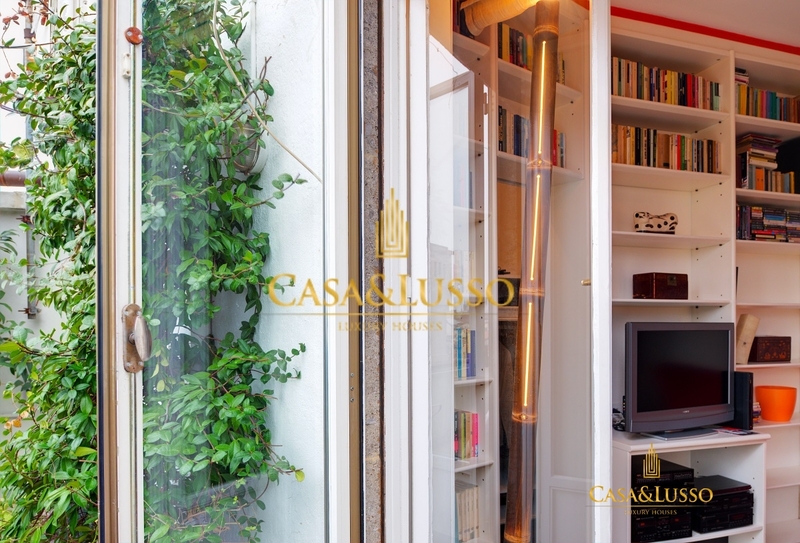 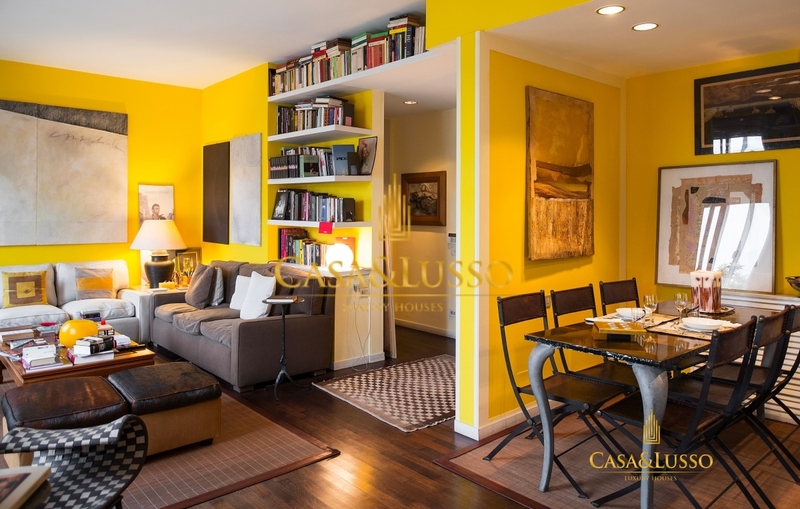 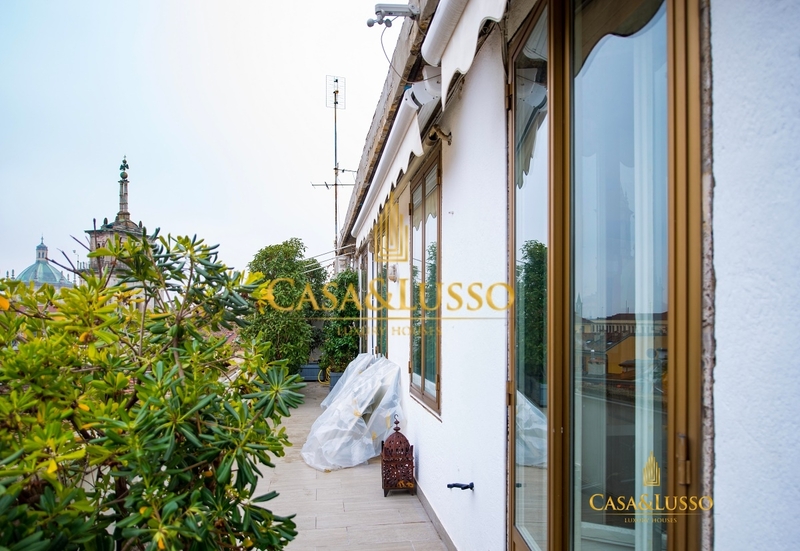 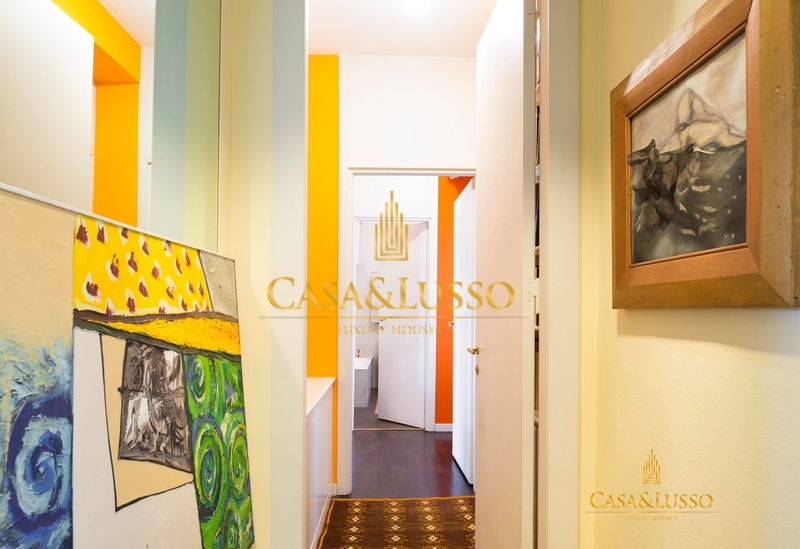 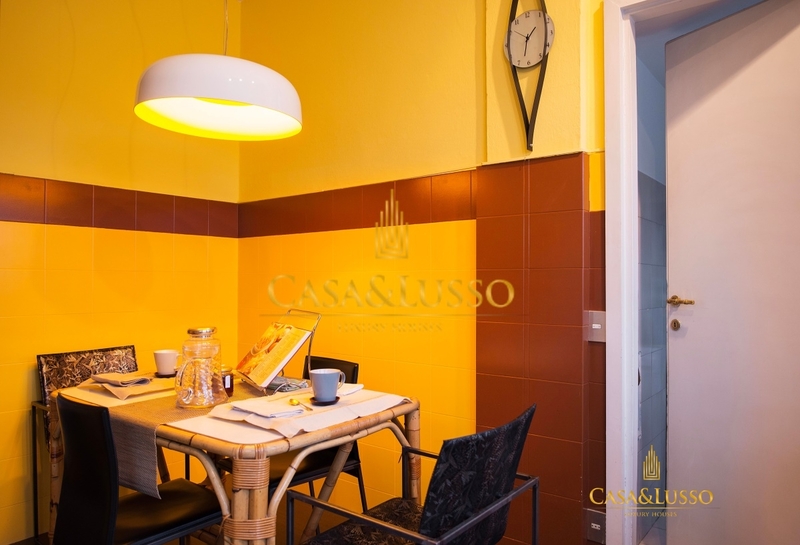 In the Cinque Vie district, close to via Torino: via Nerino, inside an elegant building of the 1940s, we offer a fully furnished and equipped penthouse with panoramic loggia, with a 28 sqm terrace. 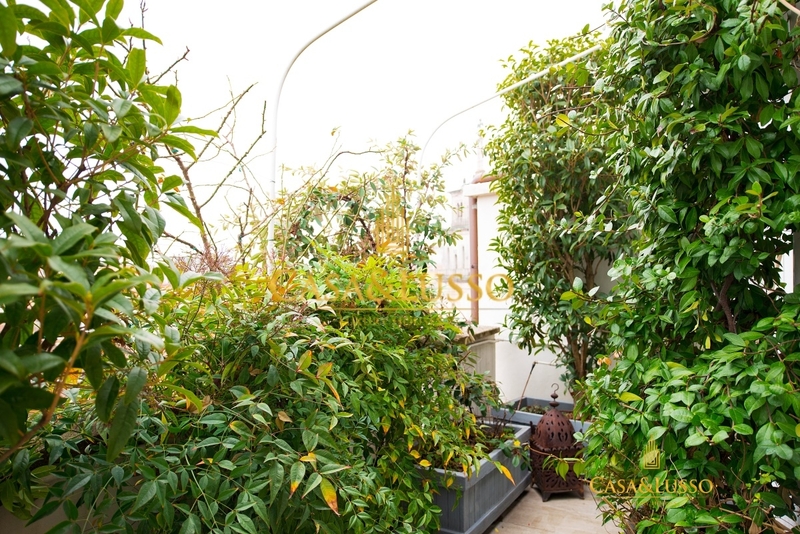 The commercial area is 151 square meters. 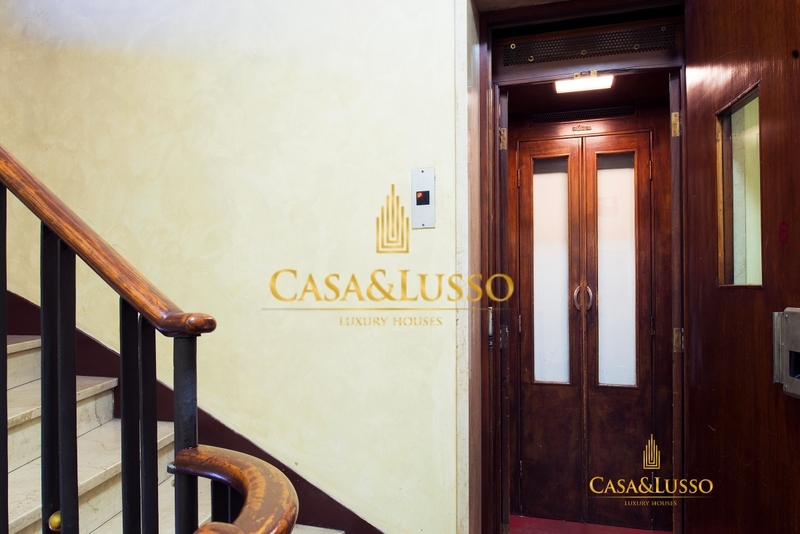 Leaving the elevator we have the entrance where you can directly access a large and bright living area overlooking the planted terrace and equipped with irrigation system. 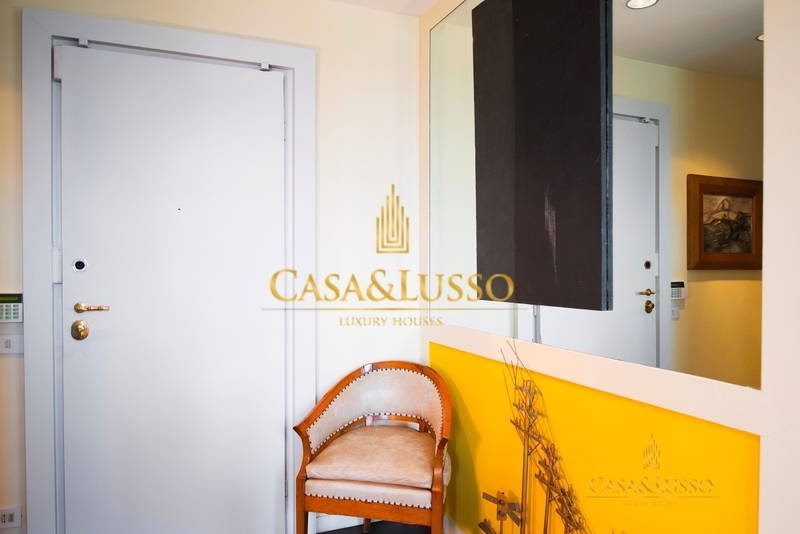 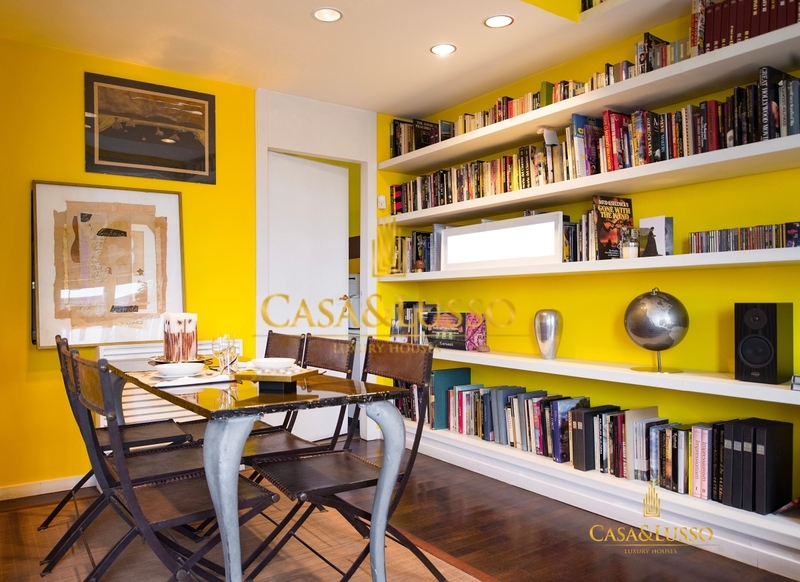 In the living area, we have a corner dedicated to the dining area, the kitchen and a laundry complete the living area. 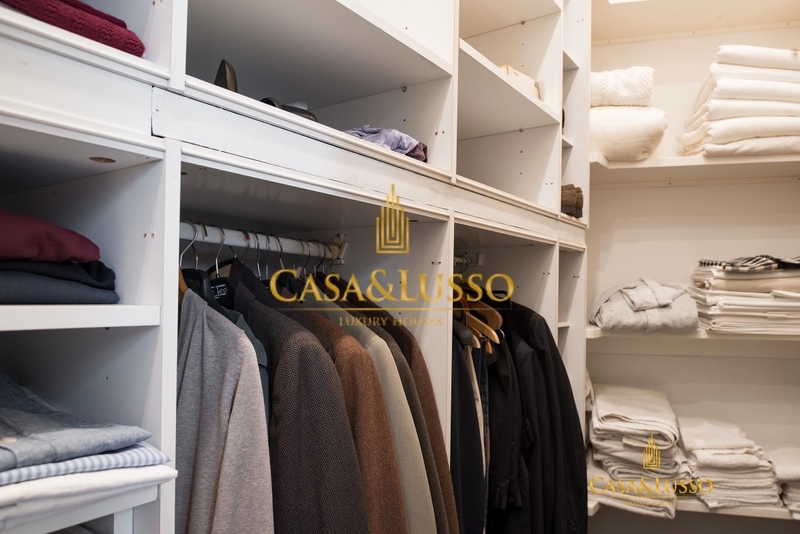 Entering the sleeping area, we have the master bedroom with en-suite bathroom and large Vestiere, continuing we have the second bedroom also with en suite bathroom. 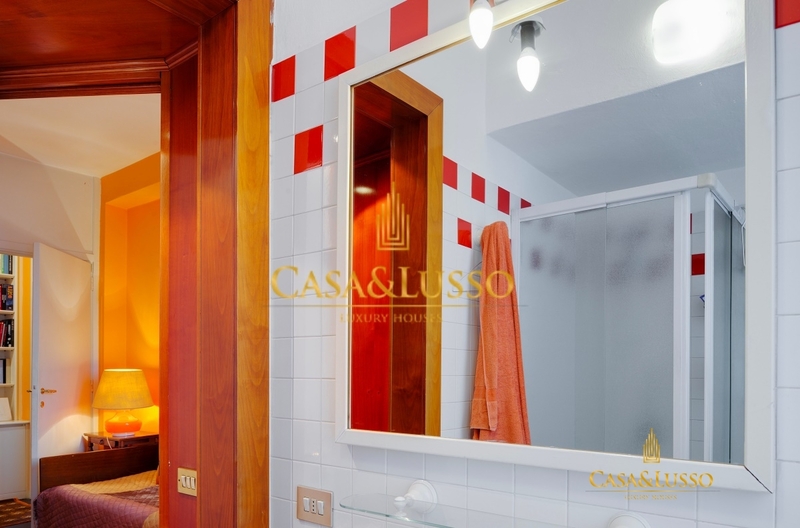 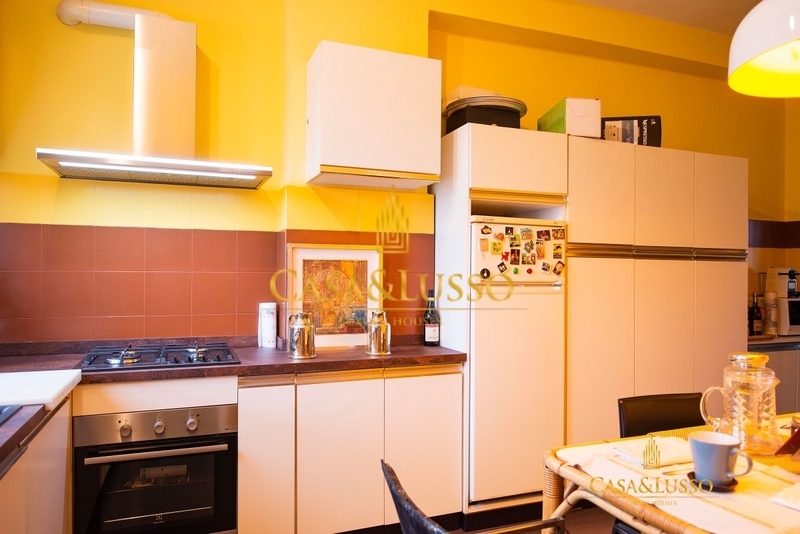 All the furnishings are made to measure, the floor is in oak parquet, the heating is centralized and the building is equipped with air conditioning. 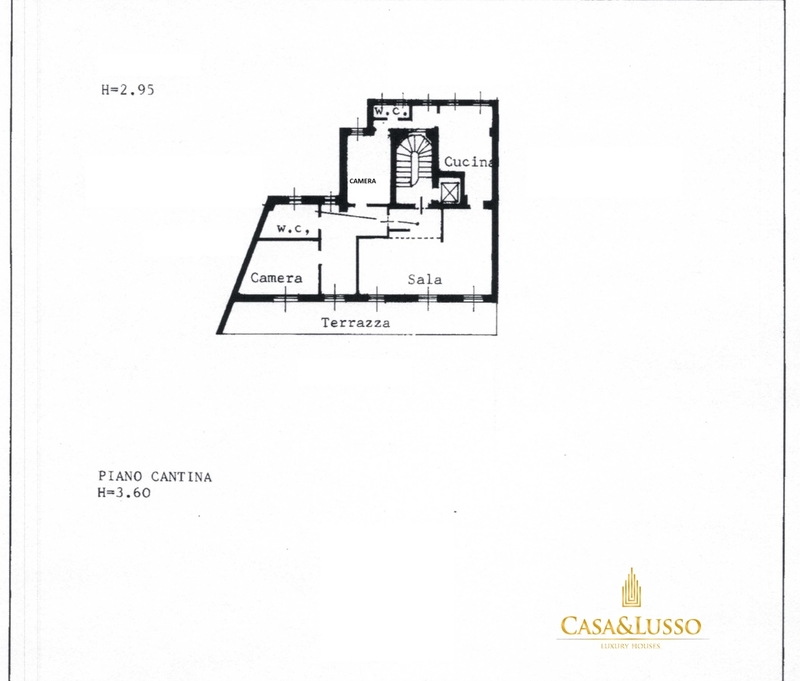 The cellar completes the property.